The attendance for the opening game, on 21st August 1983, against Cardiff City was 1,815, a promising start. However, after that the only other attendances in four figures were 2,107 for the John Player Trophy game, on 6th November 1983, against St Helens and 1,643 for the Challenge Cup game against Castleford, on 11th February 1984. After the opening fixture against Cardiff, attendances declined with the majority of League games attracting less than 700 spectators. 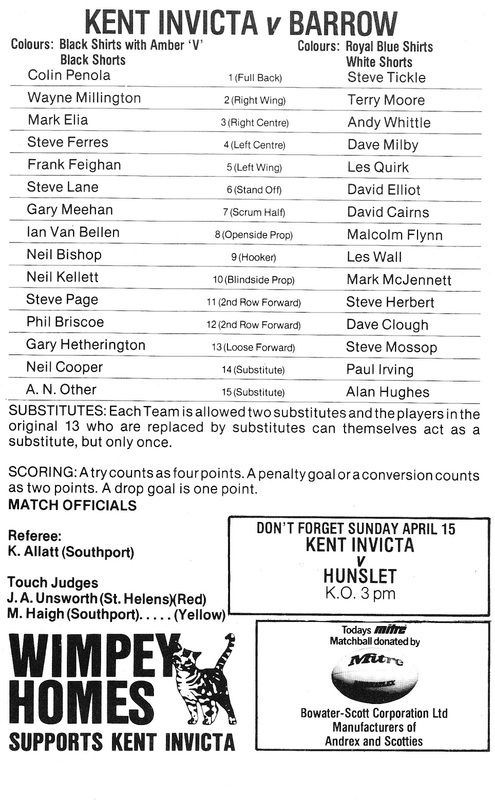 When the final game of the season was played on 12th May 1984, a re-arranged fixture against Rochdale Hornets, just 412 spectators were in attendance. The Rochdale game should have been played on 25th March 1984 but was postponed because of a waterlogged pitch. 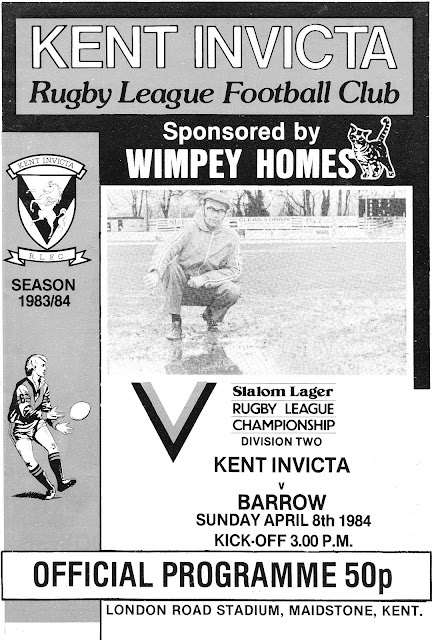 Bob Fox, the Invicta secretary, is pictured on the programme cover below inspecting the pitch before the game was called off. The team for the game against Barrow is listed below. The Kent Invicta team included two current Super League club Chief Executives Steve Ferres and Gary Hetherington.